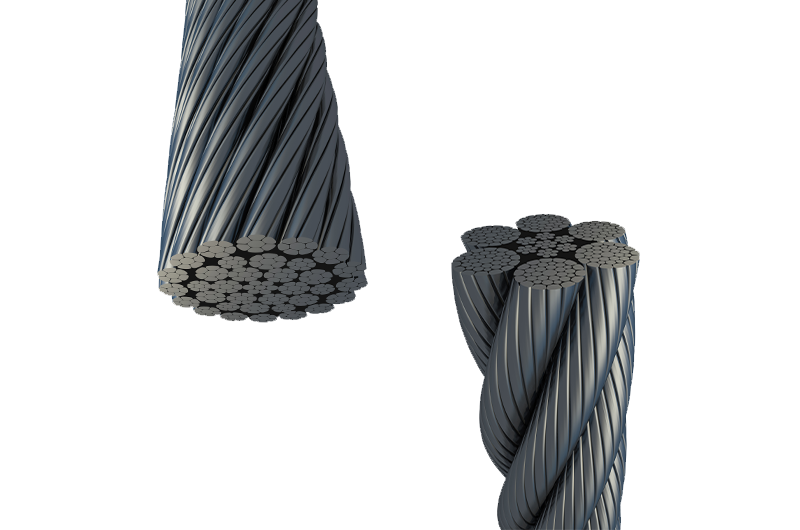 Bridon-Bekaert manufactures ropes using a unique Dyforming process that compacts the strands as shown below. The smooth surface of the “Dyform” product provides improved rope to sheave contact leading to reduced wear on both rope and sheave. 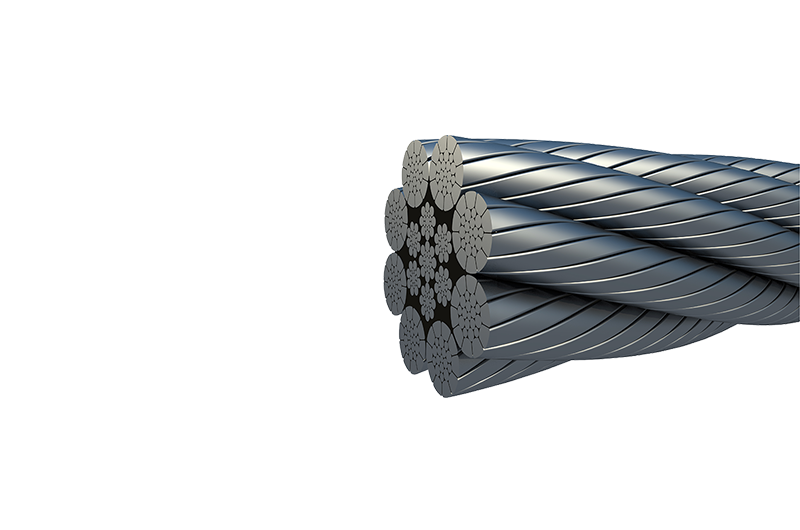 Increased cross-sectional steel area increases breaking load and improves inter-wire contact ensures that the rope will operate with lower internal stress levels resulting in longer bending fatigue life and lower costs. Bridon-Bekaert manufactures ropes using rotary hammer swaging and a unique roller compaction process that compacts the outer rope surface as shown. 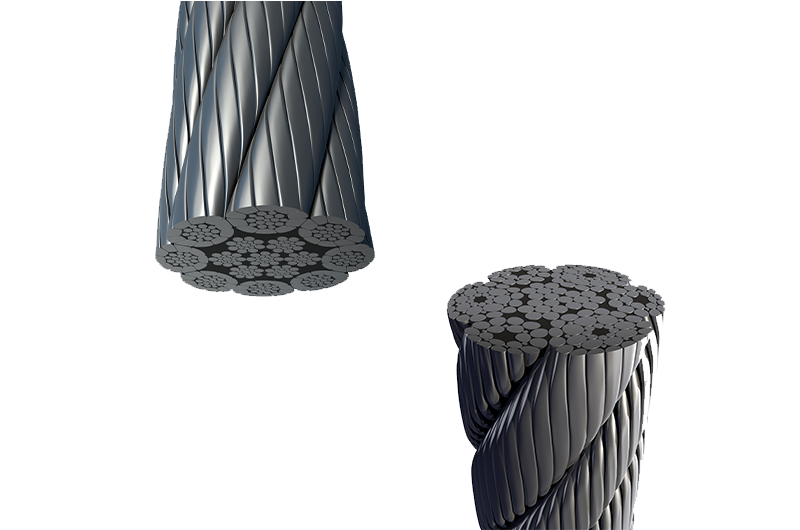 In comparison to traditional Dyform ropes the Max technology further improves rope to sheave contact and improved diameter stability leading to reduced wear on both rope and sheave. 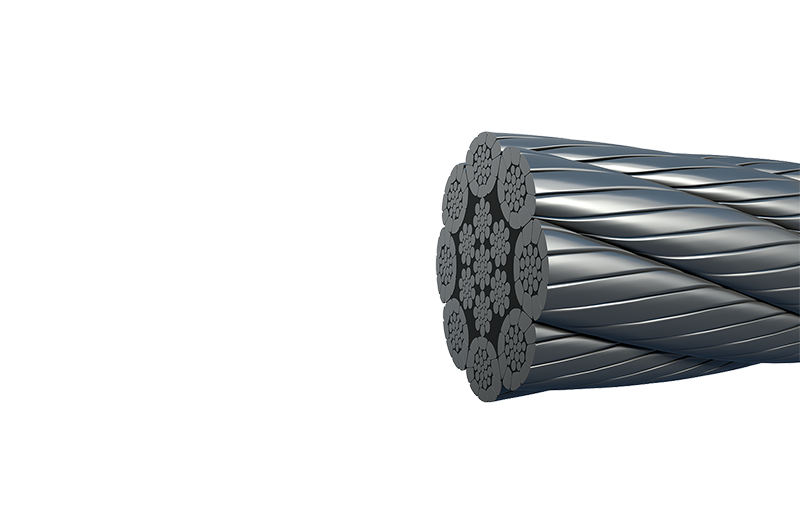 Further increased cross-sectional steel area provides a robust construction with high breaking force and excellent crush resistance. Improved outer contact areas ensures optimum spooling performance oﬀering maximum resistance to damage for exceptional service life in the most demanding multi-layer drum.